I’m very happy to announce here about my first solo EP release. “A Story Of A Man” released on Nov. 10th from 1631 Recordings. You can listen to all music on Spotify and download from Bandcamp. Thank you 1631 Recordings for the release and Thank you sonorspace about release information and Review of my new EP. 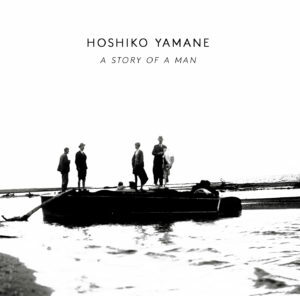 With “A Story Of A Man” present us the Japanse violinists and composer Hoshiko Yamane finally her first solo violin EP for 1631 Recordings. An EP that was written and produced besides many of her other ongoing projects like Tangerine Dream. Since 2011 she has been playing in the legendary electronic formation that was founded by the music genius Edgar Froese in 1967 and pioneered the genre with more than 100 albums and celestial soundtrack (“Grand Theft Auto V”). Alongside Tangerine Dream, she worked and works also on several musical projects, for instance “”Tukico”, a solo project that mixes violin sounds with Techno music.